Discover How Easy Exercises Can Slow Down, Prevent, or Even Reverse Memory Loss and Boost Your Brain With Energy and Power… 100% Guaranteed! Helps With the Alzheimer’s, Other Types of Dementia and General Memory Loss. If you or someone your love has been diagnosed with dementia, or is just experiencing occasional memory loss, read on to learn how a new scientifically proven method boosts your brain with an ingredient that’s essential to improve brain function – starting today! Hi, my name is Christian Goodman, natural health researcher and creator of the Brain Booster. In this letter I’ll reveal a surprising cause of Alzheimer’s and other types of dementia – recently discovered by researchers from one of the most respected universities in the world. Then I’ll invite you to try my brain exercises – based on this discovery – that have helped hundreds of people to restore their brain function and memory. 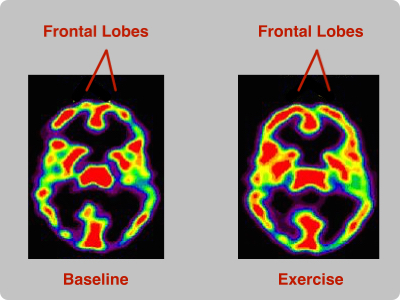 The exercises are so simple and easy, even people in the middle stages disease-related memory loss can use them. And they’re so effective that many people report a sharper, clearer mind, the very first day. Since we’re dealing with the real underlying cause of memory loss, it’s very likely the benefits you gain will stick. … and even much more! I don’t know if you’ve been diagnosed with dementia or Alzheimer’s or if you just have the feeling your brain is not working as well as it used to. It doesn’t matter; the exercises will help you! Let me start by telling you how I came to discover this amazingly simple, yet effective solution to boost your brain with energy. It was actually my wife who gave me the key. It was a beautiful Sunday morning. My wife and I were sitting in the living room, having morning coffee. I was doing a Sudoku puzzle while she was reading one of many medical journals. What in the world was she talking about? I had never claimed to cure Alzheimer’s – not in private and surely not publicly in any medical journal. I quickly learned that my name was not mentioned. She was reading about a new study, which I referred to earlier. And her quick-thinking mind immediately put two-and-two together. You see, regarding the ultimate cause of Alzheimer’s the researchers had discovered – I already had a solution I’d been working on and improving for years. I’ve dedicated my life to natural health research. And I have been fortunate enough to find natural solutions to many health problems – often considered incurable by traditional medical industries. I help people deal with many of those conditions, using simple sets of exercises, avoiding the horrible side effects of medications. What many of those exercises do is increase the blood flow up to the head, boosting the brain with glucose and oxygen. My exercises also help lower blood pressure and therefore improve your cardiovascular health, again improving blood flow to the brain. They took a group of mice and put them into a box containing only 40% of normal oxygen. They kept them there for 16 hours per day for a month. Under the influence of low brain oxygen levels, there was a drastic increase in brain plaque, similar to what is seen with Alzheimer’s disease. “Low brain oxygen levels might also affect other genes and may spur brain cell death, worsening memory in Alzheimer’s disease,” one of the researchers wrote in his report. The researchers were amazed to see how badly the oxygen-deprived mice performed on a memory test. The mice acted confused and unfocused. They couldn’t find their way around and didn’t seem to remember tasks they had just performed. Just like people suffering dementia! Normal mice had no problem performing those same tasks. And little by little, the brain begins to deteriorate. After months of researching both humans and mice, they also concluded that the main cause of Alzheimer’s is lack of blood flow up to the brain. Starving the brain of oxygen and nutrition. “If people start early enough, maybe they can dodge the bullet,” the scientist leading the study said. “ For people who already have symptoms … increase blood flow, help the delivery of oxygen and glucose to the brain,” he added. You can live for days or even weeks without food or water, but if you’re deprived of nutrition for a long time, your body gets weak and you’re more likely to get sick. Within as little as 4-5 minutes of being deprived of oxygen, you die. You can suffer serious brain damage in as little as three minutes. The brain only counts for 2% of your body mass. But it uses 20 – 40% of the oxygen we breathe. No organ is as dependent on constant delivery of oxygen as the brain. Imagine what happens if the brain receives less oxygen than it needs for years or decades. Just like with lack of food or water, the body then has to use what it has. It delivers most of the limited amount of oxygen to the important functions such as keeping the body alive, vision and metabolism. Other, less important, parts like memory, rational thinking, etc., suffer. In the short run, these parts are not essential for our survival. After years of this deprivation… dementia and Alzheimer’s develop. But why does this oxygen deprivation happen? It’s actually quite simple: We don’t breathe effectively. Most people only use one-fifth of their lungs’ capability. Therefore your brain is only getting 20% of the oxygen it could. For many people, shallow, ineffective breathing is just a bad habit. However, it becomes a more serious problem because the muscles that we should use to breathe properly (the diaphragm, for example), have been underused for years and are now weak and inflexible. It’s therefore a big challenge to retrain those muscles and begin breathing properly again. What makes this breathing problem even more serious is that the air in most places on earth today contains only a fraction of the oxygen it used to, especially in big cities. So breathing effectively is more essential today than ever before. Finally, most of us have a less than perfect cardiovascular system. Arteries are hardened and clogged up with cholesterol. So less blood can flow thorough them. This is especially harmful for the arteries running up to the brain. For years, I’ve helped people with migraine headaches, vertigo, obesity, and several other conditions to completely heal themselves. I teach them simple exercises that increase the oxygen levels in their body and deliver more blood to the brain. So, when the researchers scientifically proved that oxygen deprivation was also the main cause for Alzheimer’s, I immediately knew I had to do everything in my power to help with this horrible condition. After all, isn’t it everybody’s biggest fear to lose their brain function? There is nothing more horrifying than experiencing one day not being able to recognize your friends and family members, find your way home or even remember who you are. I’ll never forget how scared my uncle David looked when he told me he had been diagnosed with Alzheimer’s. He later shared with me how ashamed he felt when he lost track of conversations and didn’t know what in the world friends were talking about. Uncle David died in 1997 in a skilled care facility. He spent his last few months lying in bed, staring into the ceiling. It had been years since he last recognized me. I couldn’t help him, but I could benefit from my experience with him and other family members when developing my brain boosting exercises. To test the effectiveness of my new program, I sought out people complaining about memory problems and asked them to kindly try out my exercises. …just to mention a few benefits they credited to these techniques! But enough of the story. You’re probably wondering what these exercises are… and if they’ll really work for YOU. So, let me explain exactly how the exercises deliver more blood flow to the brain – improving both oxygen and nutrition delivery and therefore restoring the damaged brain cells. Breathe deeper and more effectively. You could be getting five times more oxygen up to your brain than you’re getting now. The program includes 4 extremely effective breathing exercises that will load your body with oxygen. Strengthen and loosen up the breathing muscles – those controlling the lungs. When those muscles work optimally, you’ll breathe effectively, night and day, without having to think about it. The program includes 5 revolutionary exercises that restore those muscles. Most people, as they get older, develop blockages in their breathing passages. This decreases the amount of air that can be inhaled. I originally designed these 5 exercises to cure snoring. And they work wonders to open up the throat. You have to recruit the muscles in the neck to stop inhibiting the blood flow up to the head and instead take part in pumping the blood. The program has 3 exercises focused on this special task. Finally, once you’ve inhaled enough oxygen and brought it up to the head, you need to make sure it’s delivered to all parts of your brain. The program includes a simple mind/body exercise that relaxes the stress on the brain. What’s more, this exercise has helped thousands of people to lower blood pressure and therefore bring the arteries back to their healthy, flexible nature where blood flows easily through them. This one exercise is worth the whole program. Together, these 18 simple exercises work to deliver as much nutrition and oxygen to your starving brain as possible and begin the restoring of the damaged brain cells. Immediately after your first session, you could experience clearer and sharper thoughts. Some people say it’s like a switch was just turned on. You’ll feel this refreshing, light feeling in your head, similar to what you experience when you drink refreshing water on a hot summer day. The exercises take absolutely no physical effort. It doesn’t matter in what kind of shape you are, you can practice them. And you won’t even break a sweat. Everything is spelled out, step by step, in plain English. Since this is not my first language, my vocabulary is similar to a fourth grader and I use no fancy words. My customers seem to appreciate that. If you ever have a question, the answer is never more than an email away. Just throw me a line and my personal assistant or I will reply quickly. Therefore, it’s no doubt you can work the program easily and really reap the benefits from it. So what’s information like that worth? I’ve had people saying I should charge anywhere from two to six hundred dollars for this unique information. After all, it is worth more than that if you heal your condition, isn’t it? I decided, however, to price it much lower than that to make sure everyone can afford it. And there is no repeated cost like when you take medications or have a checkup with your doctors. Once you’ve got the program, you have it for life and access to any improvements made to it forever. But I don’t think the price really matters. Wouldn’t you honestly give everything you had if you were 100% sure you could heal your disease? Nothing is worth losing your brain function. Right? You’re getting a chance to reclaim your life for yourself and others. I’m sure your family is as concerned about this as you are. This condition can be very hard on them. Especially when patients lose control over their emotions. But it can be avoided or at least delayed for years. I want you to enjoy the golden years with your spouse, like I’m sure you’ve always dreamed of. So, what matters isn’t how much the guide costs, but how I can guarantee without a doubt you’ll prevent the condition from progressing. I of course can’t promise for sure the program will help you. Nothing works for everyone; not even drugs, herbs, or exercises. Try The Program For 60 Days, If It Doesn’t Help, You Pay Nothing! If you’re not absolutely thrilled with the results or the improvements you experience from it, just send me an email or a letter any time within 8 weeks of purchase. I’ll make sure that every penny you invested in the program is returned to your card within a week. So you’ve nothing to lose but everything to gain! Don’t hesitate to try the exercises because the clock is ticking. What’s more, I’m totally confident you’ll never even ask for a refund. Because I know you’ll be walking on clouds the very first time you try out the exercises. After a few days or weeks, you’ll begin to notice how many tasks will become easier. It may be something as simple as finding driving directions or choosing what to have for dinner, but you’ll immediately feel the difference. Just picture yourself happy and relieved, writing me a thank-you letter. So, order the program now, try it out, and if you’re not totally thrilled with the results – I’ll refund to your card every cent you spent. The decision is yours; please click the link below to order the exercises and begin your journey to a new life. PS: Just to be clear, this is all very new. You may be tempted to wait till my exercises have become better known, but I urge you to take action now. Because you don’t have the time to wait. The clock is ticking at a scary pace … that’s a fact. You probably already feel like your brain is aging from day to day! And if you wait till you’ve heard more about my program, it may be too late. I’m afraid no exercises will help for later stages of Alzheimer’s. What’s more, by taking action now and proving the effectiveness of the exercises, you may be leading the way for tens of thousands of other people suffering from the same condition as you are. Anyway, you’re not taking any risk by acting now, because the exercises can’t possibly create any negative side effects. At worst, you’ll only feel a little better and I’ll still refund your order on the spot. The only risk you take is if you wait.